Choosing essential oils for self care can be daunting. Which will serve my needs best? 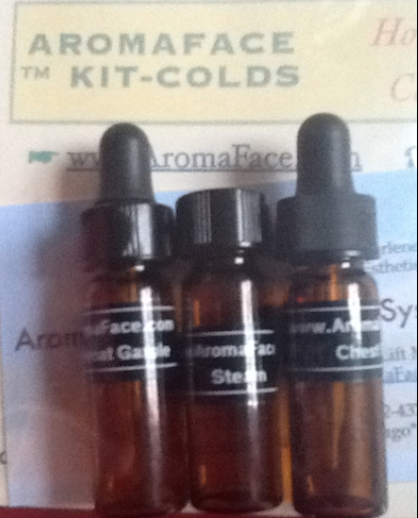 AromaFace has put together ready to go kits for you to use at home. Putting together the best blend of essential oils to create a synergy and facilitate the most beneficial effect. The Kits are preblended formulas, ready to use and including instructions. Specialized botanicals known to act as anti-infection agents, decongest, clear sinus, soothe and calm spasm from cough. Contains Eucalyptus, tea tree and proprietory blend.